This post was written by an AngelSense Staff Contributor. When a child wanders, it is a life-threatening event. Wandering is most often associated with children with autism, but many children and adults with Down syndrome are also prone to this unpredictable behavior. Keeping our loved ones who wander safe is an around the clock challenge, as some have difficulty understanding safety issues and communicating with others. The good news is that AngelSense GPS has created a solution for parents and caregivers. It includes a GPS device with voice capabilities, advanced data analytics, and a Smartphone app used by caregivers and first responders, all designed specifically for individuals with special needs. AngelSense GPS does more than offer reassurance to families and freedom to those who use it. Proven to prevent the hazards of wandering, it actually saves lives. What sets AngelSense apart from other GPS systems is that it has 4 crucial, life-saving elements. Proactive Alerts - AngelSense automatically detects deviations from the norm, such as an unexpected arrival to an unknown place or a late departure. It creates a daily timeline logging every location visited and provides detailed routes. Non-stop Monitoring - The device is always tracking, even when the Guardian phone app is closed. On All Day - Sensory friendly wearables help to secure the device, making it removable only with a magnetic key held by the parent or caregiver. The device itself is on all day as well, to be powered off only through the Guardian phone app. Quick Response Tools - A rich set of tools through the application such as live 10-second updates and map location, auto- pickup 2-way voice features, an alarm and a first responder alert all make a potential search quick and effective. By using AngelSense, parents are able to diffuse wandering incidents before they escalate to a potentially dangerous event. AngelSense has no range limitation and tracking is possible from anywhere using a Smartphone. Sometimes, it’s simply the peace of mind that you have, knowing exactly where your loved one is, whenever during the day, wherever you are. "We went camping over the weekend and did you know, I knew exactly where he was at the campground?!!!! I saw him at the lake, the pool, ice cream stand, and playground!!!" Tracy Daly, Executive Director, Down Syndrome Association of the Hudson Valley. With the innovative technology that is available to families with AngelSense, help is always right around the corner. We had a blast celebrating World Down Syndrome Day a few days early at the waterpark! Southeastern WI families gathered at the Ingleside Hotel & Waterpark for a day full of fun! Thank you to everyone who came out and celebrated with us! This month we hosted a New Parent Breakfast at our headquarters! This provided the opportunity for fellow parents to make connections, learn about DSAW programs and services, and hear about the other important resources in the area! We got to do this all over a yummy breakfast. Thank you to the families that joined us for a morning of learning and fun! Thank you to our amazing friends at Ben's Cycle/Milwaukee Bicycle Company Racing team for hosting an Indoor Century Ride to raise funds for DSAW! Teams rode 100 miles to benefit DSAW and raised over $4,000! We ended the month with a sensory-friendly, private screening of Wonder Park at the Marcus Ridge Cinema in New Berlin! We rented out an entire theater for our families, and the sound was played lower and lights were on brighter. Thank you to all the families who joined us for this screening! Our Digitability class had another successful month in March! This new course is an award-winning employment-readiness program used to prepare students with special needs for today’s tech-driven workplaces. Young adults meet Mondays and Wednesdays through May at the state office. Learn more here! We had another great month of our course on relationships for individuals with special needs. Throughout the course, we have been learning about personal boundaries, dating, self-defense, stranger danger, and safety. Learn more here. This month we continued our two sessions of the Nutrition and Wellness Class offered through DSAW and DSAW-Family Services. The class meets twice a week throughout the winter and participants will learn about personal health and well-being, exercise, and healthy cooking. This month students made healthier versions of two yummy foods - tacos and brownies! In March we talked all about self advocacy, self-advocacy skills, and why they are important. Stay tuned for April’s topic, Register Here! Coffee Club Coffee Club is hosted at our state office on the second and fourth Tuesday of every month. This acts as a great opportunity for DSAW parents and their loved ones to meet other families while enjoying coffee. Our Young Leaders Academy at our West Allis office meets every second and fourth Thursday of the month. We also have a Young Leaders Class at our Northside location in Fox Point! This location meets the first and second Fridays of the month from 7 - 9 PM! Classes start off with an energetic game and end with an hour of employment-readiness curriculum. Self-Advocates are invited to join our class anytime. The second Friday night of the month, DSAW transforms into a hoppin' place for tweens to hang out! Next month's Tween Club will be on Friday, April 12th. Drop your 10+ year old off for a night of games, snacks, activities, and more. At next month’s Tween Club, we have peers from the Delafield Family Tae Kwon Do Champions coming to teach us some tae kwon do! Sign up! Each month, DSAW parents, grandparents, and caregivers get together for a night of casual conversation and free appetizers. We meet every second Friday of the month at Cleveland Pub, in conjunction with Tween Club! Come join us for one of our favorite nights of the month on Friday, April 12th! DADs Meeting Fathers and male caregivers are welcome to join us the first Thursday of every month to come together and support each other. We discuss upcoming events, listen to speakers, recruit volunteers, and talk about our kids while enjoying food and drinks at the New Berlin Ale House. 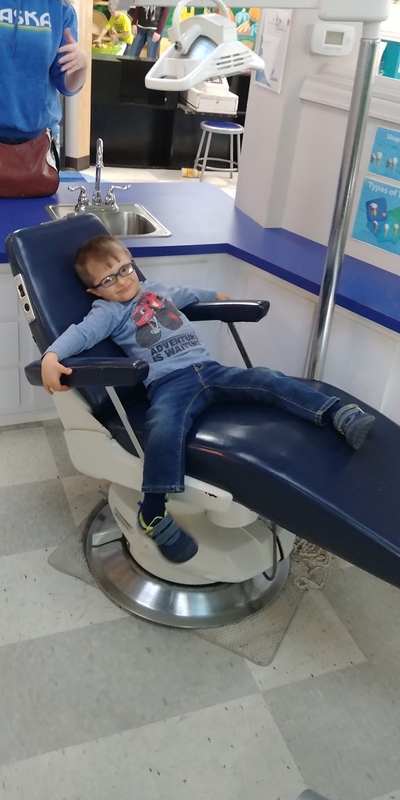 DSAW-Central WI partnered with GiGi's Playhouse Wausau to provide an afternoon of bounce houses, games, food and photo prop fun in celebration of World Down Syndrome Day! Thank you to all the families who came out to join us for this fun day! Parents gathered for coffee and conversation at Vino Latte on World Down Syndrome Day! Parents, grandparents, and caregivers attended this casual social. We always enjoy this time gathering with fellow parents. DSAW board member and parent, Kris Halvorson, graciously opened her home for a fun family night this month! Families enjoyed pizza and conversation with other families who have a loved one with Down syndrome. DSAW-Chippewa Valley families celebrated World Down Syndrome Day at Action City and Chaos Waterpark! We started the day bouncing around at the trampoline park followed by a pizza buffet! We ended this fun packed day at the waterpark! Thank you to all the families who joined us to celebrate! DSAW-La Crosse Families gathered for a Sock Hop themed Celebration for World Down Syndrome Day! The afternoon included a yummy lunch and a guest performance by Applause Dance Academy. Families even got to join in on the dancing and do the Cha Cha Slide! Andrew Gerbitz from Andrew’s Voice made an appearance and talked about his journey! We also got to enjoy some delicious cake. One of our favorite parts of this day is the famous wall of extra chromosome posters - this year we had 34 wonderful faces adorning it! We always enjoy Parent’s Night Out! This month we met at Features Sports Bar and Grill in West Salem for a casual evening of food and conversation. Our next Parent’s Night Out will be held on May 18th at Fiesta Mexicana! RSVP here! DSAW-Green Bay held their playgroup at Get Air Trampoline Park this month! They offered a dedicated time just for jumpers with special needs. We will be at the trampoline park again in April. Sign up here! This month moms, aunts, grandmas, and female caregivers gathered at the Cannery for a Moms Night Out! We always enjoy this time socializing with fellow DSAW women. We celebrated World Down Syndrome Day with a bowling party! Green Bay families gathered at the Gutter for an afternoon filled with bowling, pizza, and celebration! Thank you to everyone who joined us for this fun event to celebrate our loved ones with Down syndrome! MADSS has a Mom’s Night Out on the 5th of every month! This month, moms gathered at the Great Dane Pub & Brewing Co. We love this time for moms to enjoy conversation with one another over appetizers and drinks. MADSS & GiGi’s Playhouse sponsored Dynamic Duals this month! It is a group for families with a child with DS-ASD or other significant behavioral challenges. It’s a time to connect and have fun, share successes and resources, brainstorm ideas and strategies for challenges. For more information or to RSVP, please contact Wendy Kaplan at: info@MADSS.org. Self-advocates had a great time at the Madison Capitols game! The night was filled with cheering and laughing at the ice arena! We kicked off the month with a Parent's Night Out at Vintage Brewing Co! Parents, grandparents, adult siblings and caregivers joined us for a casual evening of conversation and good eats. Families enjoyed a bowling and pizza party at RiversEdge Bowl! We had tons of fun bowling and eating yummy pizza with other MADSS families! This month we had our first playgroup in Janesville! Parents had the opportunity to discuss specific goals and needs for the children with CI Therapy staff while the kiddos played! This event was hosted in partnership with Gigi’s Playhouse Madison as a part of the Waisman Center Day with the Experts series. The series is sponsored by the Friends of the Waisman Center. Attendees learned about advances in research and clinic services as well as hear from a panel of experts consisting of individuals with Down syndrome and their family members. We spent the evening of World Down Syndrome Day celebrating increased awareness, acceptance and inclusion of people with Down syndrome. This year’s theme was “Be a Dreamer” and featured photographs of local kids and adults with Down syndrome doing the things they love. Thank you to Geoffrey Mikol, photographer and owner of River Bend Gallery! The Madison Public Library - Meadowridge hosted a movie day for our friends with Down syndrome and their families in honor of WDSD. We enjoyed pizza and snacks along with the movie! Fathers, grandfathers, and male caregivers met for a casual evening of conversation and food with other MADSS dads at Toby’s Supper Club this month! We always enjoy this time to catch up. This month we went to Hedberg Public Library in Janesville to listen to stories from the Children’s Librarian. The kids had so much fun engaging in these interactive stories. Families gathered to celebrate World Down Syndrome Day at the Clara R. McKenna Aquatic Center! Thank you to everyone who joined us for a day of swimming and celebration! We even enjoyed some ice cream thanks to Culver’s! We had so much fun celebrating one of our favorite days of the year! DSAW-Sheboygan families enjoyed an early World Down Syndrome Day celebration at Breaker Bay Waterpark! This was such a great escape from the winter weather. The kids splashed in the water and parents enjoyed socializing with each other. Thank you to everyone who joined us in celebrating with this fun day at the waterpark! This month our Teen FrienDS Club had a zentastic time at “Be” doing yoga! Thanks to the instructors for leading our teens through a great class! DSAW-Fox Cities partnered with SOAR Fox Cities, WisconSibs, and the Autism Society of Wisconsin to host a mini conference for parents, adult siblings, self-advocates and professionals. This was a great opportunity to learn about disability-related topics through breakout sessions and to connect with local community resources. 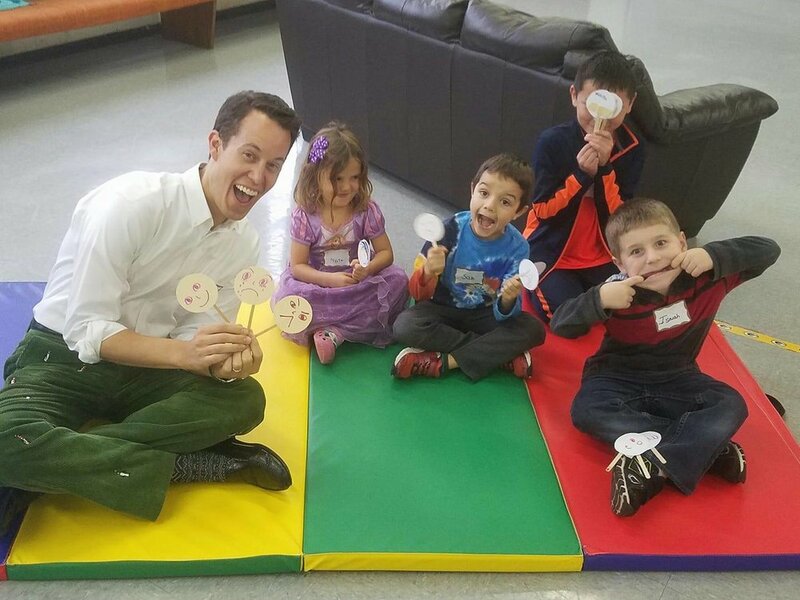 Babies, toddlers, and school aged children with Down syndrome attended a playdate at Luv 2 Play Indoor Playground! The kids enjoyed escaping the winter weather at the indoor playground. We also enjoyed pizza! Families celebrated World Down Syndrome Day with a fun filled afternoon at Monkey Joe’s! Kiddos got to play in the inflatable play area and enjoy pizza while celebrating one of our favorite days! My name is Roxy Pryes and I am one of the board members for DSAW-Green Bay. My husband, Craig and I live in Casco with our two children, Ollie and Tori. I attended my first DSAW Awareness Walk back in 2012 when Ollie was just under 3 months old. I was in awe of all of the wonderful people I met that day. Our next DSAW sponsored event was a monthly play date where the other moms went crazy over Ollie. (Now that Ollie is a little older I get to be one of the moms going crazy over the new babies). Over the course of the next few years my family attended play dates, parents nights out, and of course more walks. I knew from early on that I wanted to volunteer with DSAW but I was not able to right away due to balancing work and raising two young children. In 2017 I was able to help the rest of our newly forming board plan the Awareness Walk. Since then I have loved the brainstorming, planning, sleepless nights, and friendship that has come along with being part of the DSAW-Green Bay Board. In my free time (what is that?) I enjoy spending time with my family, camping in the summer, and reading (can't remember the last time this didn't involve a book with more pictures than words). I also enjoy my second job (first one is being mom to Ollie and Tori) working at a local clinic as a patient service representative. I absolutely love planning new events for DSAW Green Bay. This post was written by Rachel Fischer of DSAW partner REINS, Inc.
Equine assisted activities and therapies (EAAT) encompass a wide range of vital programs servicing individuals with physical, psychological, emotional, behavioral, and social needs. At the core of all EAAT services lie the healing power of the horse. The therapeutic nature of horses has been recognized for centuries, dating back to early Grecian culture with the first documented research noted in the 18th-19th centuries (DePauw, 1986). Key programming options within the realm of EAAT include: therapeutic riding, hippotherapy, interactive vaulting, therapeutic driving, and equine assisted learning. Therapeutic riding places recreational education of horsemanship skills at the forefront; thus, programs teach key riding skills with educational modifications to accommodate rider disabilities. Hippotherapy is the provision of occupational therapy, physical therapy, or speech therapy services using the horse as the therapeutic medium. Interactive vaulting offers therapeutic benefits through gymnastics-like activities on horseback. Therapeutic driving offers participants educational opportunities through carriage driving, allowing participation for those who may not be appropriate for mounted activities. Finally, equine assisted learning services utilize an experiential learning approach to promote the development of critical life skills including trust, leadership, assertiveness, communication, self-confidence and self-awareness (PATH Intl, 2019). All EAAT programs are recognized through the Professional Association of Therapeutic Horsemanship (PATH) International, a regulatory agency offering program guidance, regulatory guidelines, and supportive advocacy. Services are provided by PATH certified instructors or therapists. Despite the wide array of optional programming, EAAT participants can experience extensive physical, cognitive, and socioemotional benefits. EAAT exists within an enjoyable and motivating environment, allowing certified instructors to target skills that may be otherwise challenging to address through traditional intervention. Physical: Equine assisted activities offer a wide array of physical benefits including improved balance, coordination, strength, endurance, core strength, head control, gross motor skills, and fine motor skills. Horse anatomy (particularly pelvic girdle and lower extremity) mirrors human anatomy, a feature unique to horses and unable to be replicated in any other therapeutic environment (DePauw, 1986). Because of this comparison and compatibility, horses naturally offer three-dimensional movement, which allows PATH certified professionals to simulate and mimic natural human gait and movement while a rider is mounted (DePauw, 1986). This natural three-dimensional movement also challenges and alters the rider’s center of gravity which leads to activation and eventual strengthening/improvement in vital balance reactions (Zadnikar & Kastrin, 2011). Horseback riding inherently requires a high degree of core strength, head control and gross motor skills to maintain the appropriate position while astride (Champagne & Dugas, 2010). EAAT can also assist with tone management. Smooth, well controlled movement and the body heat from the horse can assist with high tone neutralization while shorter, more impulsive strides offer increased proprioceptive and vestibular input to improve hypotonia. Riders must also utilize fine motor skills and upper extremity coordination to direct and control their mount, offering opportunities to target improvement in these areas as well (Scott, 2005). Cognitive: EAAT participants can additionally see a variety of cognitive benefits including improved attention, sequencing, memory, communication, spatial awareness, left/right discrimination, and safety awareness. Programs are often offered in group settings, thus allowing instructors to target communication and attention within the context of selected group activities (Scott, 2005). Participants must use clear cues to direct each specific equine therapist, thus improved communication is often noted through this intervention (DePauw, 1986). Specific horsemanship activities create improved spatial awareness and sequencing skills through enjoyable and motivating tasks (DePauw, 1986). Given the unique nature of this therapeutic intervention, participants must learn specific techniques and skills to safely navigate in the arena with noted carryover into everyday activities. Socioemotional Benefits: EAAT participants experience a variety of social and emotional benefits as well, including, but certainly not limited to, improved social motivation, improved self-regulation, improved management of sensory behaviors, improved self-control, increased confidence, trust, leadership, and assertiveness. By the very nature of this therapeutic environment, EAAT offers a diverse sensory experience for all participants; this allows for decreased sensory sensitivities and improvements in sensory seeking behaviors (Holm et al, 2014). The equine therapists act as a vital team member and are highly intuitive to human behavior; horses invite self-reflection and review while offering participants a new way to see their internal landscape. Additionally, successful participation in EAAT and direct interaction with these powerful creatures directly results in improved self-confidence and assertiveness. Equine assisted activities and therapies undoubtedly provide a strong foundation in horsemanship skills while also offering a wide array of physical, cognitive, social and emotional benefits. The power of the horse transcends disability, age, and skill to provide a motivating and enjoyable experience for all involved. All potential participants are encouraged to visit the PATH International Website (pathintl.org) to locate a program near their hometown. ABOUT REINS: REINS, Incorporated is a 501(c)(3) non-profit organization, based in Sheboygan Falls, Wisconsin, committed to improving the lives of those with disabilities through individually structured classes using therapeutic interactions with horses. We are an equine assisted activities and therapy center accredited by the Professional Association of Therapeutic Horsemanship (PATH) International. We offer summer programs with weekly classes as well as single session classes spring through fall. The program has excitedly experienced significant growth in the past three years, with over 100 expected participants registered for the 2019 season. We strive to provide support and growth opportunities for all our participants. REINS offers three equine assisted activities: therapeutic riding, equine assisted learning and combined equine assisted learning/therapeutic riding. Therapeutic riding places emphasis on education of horsemanship skills with consideration of underlying disabilities. Equine assisted learning is a ground based, experiential learning approach designed to teach critical life skills including trust, leadership, assertiveness, self-awareness, self-confidence, communication and respect. The combined equine assisted learning/therapeutic riding program combines the same focus on life skill attainment through small group learning experiences with an additional focus on horsemanship skills. Our mission: "REINS, Inc. provides personal growth, challenge and development through equine assisted activities and therapies to improve participants quality of life." ABOUT THE AUTHOR: Rachel Fischer is blessed to be the Senior Instructor and Equine Professional at REINS Incorporated, Equine Assisted Activities and Therapies. She is a licensed occupational therapist and PATH certified instructor, dedicated to providing high quality, participant-centered, evidence based and compassionate services to ensure participants achieve their desired goals. She has a special interest in pediatric populations, although has worked with individuals of all ages both personally and professionally. Champagne, D. & Dugas, C. (2010). Improving gross motor function and postural control with hippotherapy in children with Down Syndrome: Case report, Physiotherapy Theory and Practice, 26(8), 564-571. DePauw, K.P. (1986). Horseback riding for individuals with disabilities: Programs, philosophy, & research, Adapted Physical Activity Quarterly, 3, 217-226. Holm, M.B., Baird, J.M, Kim, Y.J, Rajora, K.B., D’Silva, D., Podolinsky, L.,…Minshew, N. (2014). Therapeutic horseback riding outcomes of parent-identified goals for children with autism spectrum disorder: An ABA multiple case design examining dosing and generalization to the home and community, Journal of Autism and Developmental Disorders, 44(4), 937-947. Scott, N. (2005). Special needs special horses: A guide to the benefits of therapeutic riding. Denton, TX: University of North Texas Press. Zadnikar, M., & Kastrin, A. (2011). Effects of hippotherapy and therapeutic horseback riding on postural control or balance in children with cerebral palsy: A meta-analysis, Developmental Medicine & Child Neurology, 53(8), 684-691. My name is Ryan Mattson. I am a fresh member of the DSAW Central Wisconsin Board and this is my AMA… oop, sorry wrong website, this is my Meet a DSAW Leader. My wife and I live in the Wausau area along with my step daughter Halena. On July 2, 2016 my wife and I had our first baby together, her name is Emma. I knew immediately that she had Down syndrome and upon questioning the nurse and Doctor, we were met with a refusal to acknowledge. Like many, we had some difficult times over the weeks to follow between being passed around to Pediatricians, trying to learning about this new world we’d stumbled into, waiting for official test results (they said I’m sorry), and wondering if Emma had any health issues. That said, Emma came away clear of the initial major health issues and is a joy and a wonder. The DSAW Central WI Chapter was just being formed when Emma came along and we’re grateful to have been able to meet so many others with similar experiences in the local area. My wife and I have both recently transitioned from full-time corporate world jobs to each running our own businesses. This has allotted us some extra personal time to spend with the kids, attend events, and now also put some time into this chapter of DSAW. In my personal life, I am constantly on the go and my list of projects seems to grow faster than it gets shorter. I like physical labor and I dabble in all trade skills, sometimes more out of necessity than enjoyment. When I have some spare time I like to read, play video games, collect memorable toys from my youth, and fiddle with photography. As a family we spend a lot of time outside, often bicycling/walking/running, eating ice cream (I’m working on obtaining my Briq’s 100lb club membership), and of course Emma also keeps us on the go. DSAW was able to take advantage of the snow in a big way at our Snow Tubing Outing. We were able to spend the day tubing down the snowy slopes while the sounds of laughter and excitement filled the air. We had a blast at our annual Valentine’s Dance! The state office was transformed into a red and pink extravaganza. The night commenced with music, dancing, games, and a whole lot of food, including delicious mini bundt cake from our dessert sponsor, Nothing Bundt Cupcakes. There was even a surprise visit from Frozen’s Elsa! Thank you to the DSAW families that joined us for this night of fun. Nail Painting Party This month, we hosted our first ever Nail Painting Party to kick off Valentine’s Day. It was an awesome day filled with excitement, nail polish, and plenty of snacks! Family Movie Event Lights. Cameras. Action. Family Movie Night is a fun opportunity for DSAW families to get together for a relaxing night of snacks and movies. This month we enjoyed a sensory-friendly, private screening of Pete’s Dragon! Families got to enjoy the movie with the sound played lower and lights on brighter. Our brand-new Digitability class had another successful month! This new course is an award-winning employment-readiness program used to prepare students with special needs for today’s tech-driven workplaces. Young adults meet Mondays and Wednesdays through May at the state office. Learn more here! We just started two new sessions of a course on relationships for individuals with special needs. Throughout the course, we will talk about personal boundaries, dating, self-defense, stranger danger, and safety. Learn more here. This month we continued our two sessions of the Nutrition and Wellness Class offered through DSAW and DSAW-Family Services. The class meets twice a week throughout the winter and participants will learn about personal health and well-being, exercise, and healthy cooking. This month at Bootcamp we discussed taking responsibility for our actions! In March we will be talking about self advocacy, self-advocacy skills, and why they are important. Register Here! Cooking with the Kiddos happens every first and third Wednesday at our State office! Don’t worry about dinner plans — we’ll take care of it! Kids 8+ are welcome to join us next month! The second Friday night of the month, DSAW transforms into a hoppin' place for tweens to hang out! This month we did winter/snow themed activities including a snowman activity and cookie decorating! Next month's Tween Club will be on Friday, March 8th. Drop your 10+ year old off for a night of games, snacks, activities, and more. Sign up! Each month, DSAW parents, grandparents, and caregivers get together for a night of casual conversation and free appetizers. We meet every second Friday of the month at Cleveland Pub, in conjunction with Tween Club! Come join us for one of our favorite nights of the month on Friday March 8th! We had a “tale as old as time” at our own private screening of Disney’s Beauty and the Beast at the Cedar Creek Marcus Theatre. We were able to relive the magic of the classic film while enjoying some delicious buttery popcorn and other fun snacks! In partnership with Parent to Parent of Wisconsin, we hosted a training to support parents and match them with new and expectant parents who are looking for resources and support. Connecting with another parent who has a child with Down syndrome can be one of the most helpful resources a parent will have – it can help make their journey a little easier. 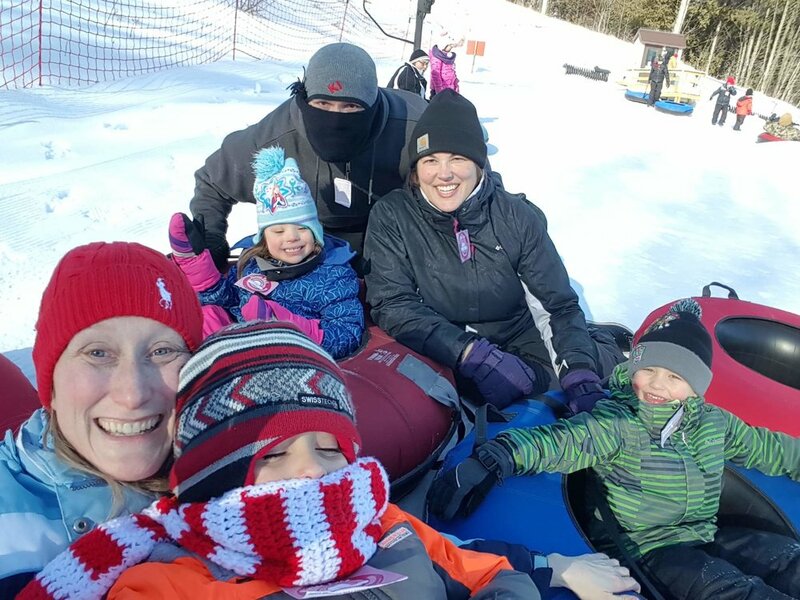 Green Bay had a blast tubing on the snowy slopes at Kewaunee Winter Park! Smiles and laughter were abundant throughout the day despite the cold weather! Thank you to all the families who joined us for this fun day. Dynamic Duals: DS-ASD MADSS & GiGi’s Playhouse sponsored Dynamic Duals this month! It is a group for families with a child with DS-ASD or other significant behavioral challenges. It’s a time to connect and have fun, share successes and resources, brainstorm ideas and strategies for challenges. For more information or to RSVP, please contact Wendy Kaplan at: info@MADSS.org. Family Bowling & Pizza Party MADSS families enjoyed a Sunday Funday at Schwoegler’s bowling alley! We had so much fun bowling and mingling with families while eating yummy pizza! Parent’s Night Out This month we had our first ever MADSS Parent’s Night Out in Rock County! Parents, grandparents, adult siblings, and caregivers joined us for a casual evening of conversation and good eats at Texas Roadhouse. Thank you to those who came out and joined us! 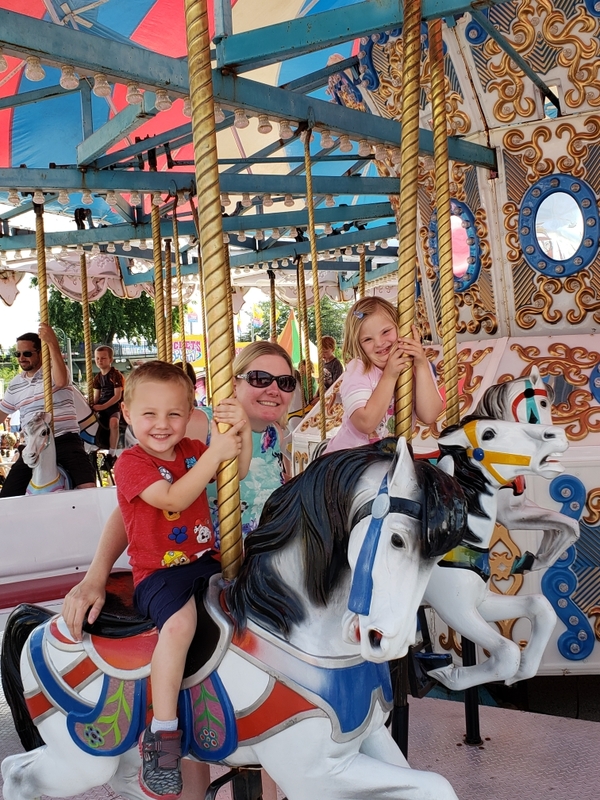 DSAW-Sheboygan families enjoyed a fun day at Just4Fun Playland in February! The kiddos enjoyed the indoor playground that’s equipped with fluffy white clouds, a faux yard, a basketball court, and a giant rainbow play-system superstructure! This was such a fun way to to escape the winter weather together for a little indoor fun! This month our teens painted their own pottery at the Fire in Appleton! Teen FrienDS Club is held at the DSAW-Fox Cities Office on the second Friday of each month from 6:30-9:30pm during the months of September-May. The club is for teens with Down syndrome ages 13-19. If your teen is interested in joining, please contact Maria SteenPorte at maria@dsawfoxcities.org. Thank you to all of the families that joined us for our Valentine’s Dance at the Elk Lodge! Everyone had fun, young & old! A DJ and dancing provided great entertainment. We also enjoyed snacks, drinks, and crafts! DSAW Leaders Retreat In January, we hosted our Annual Retreat for DSAW leaders around the state! Board members, volunteers, and families from all of our chapters and from MADSS came together in the Wisconsin Dells to enjoy social time, learn more about DSAW, and hear from other leaders about programs and models that can be implemented in communities around the state. We also welcomed guest speakers Kay Edwards of Outsight Network and Heather Avis of The Lucky Few. It’s always amazing to see our leaders in person! Thank you to all of them for the work and time they put into DSAW. We appreciate each and every one of you! We had such a great time at the Milwaukee Wave game this month thanks to our partners at Professional Construction Inc.! We even were able to attend a post-game autograph session on the field and make a high five tunnel for the players after halftime! Thank you to the DSAW families that joined us for a wonderful night of soccer, food, and fun! Digitability Class This month we launched our Digitability class at the state office! This new course is an award-winning employment-readiness program used to prepare students with special needs for today’s tech-driven workplaces. Young adults meet Mondays and Wednesdays through May. Learn more here! Family Movie Event Family Movie Night is a fun opportunity for DSAW families to get together for a relaxing night of snacks and movies. This month we enjoyed a sensory-friendly, private screening of Hotel Transylvania 3! Families got to enjoy the movie with the sound played lower and lights on brighter. This month was the beginning of two sessions of the Nutrition and Wellness Class offered through DSAW and DSAW-Family Services. The class meets twice a week throughout the winter and participants will learn about personal health and well-being, exercise, and healthy cooking. This month at Bootcamp we discussed taking responsibility for our actions! In February we will be talking about self advocacy, self-advocacy skills, and why they are important. Register Here! The second Friday night of the month, DSAW transforms into a hoppin' place for tweens to hang out! This month we did winter/snow themed activities including a snowman activity and cookie decorating! Next month's Tween Club will be on Friday, February 8th. Drop your 10+ year old off for a night of games, snacks, activities, and more. Sign up! Each month, DSAW parents, grandparents, and caregivers get together for a night of casual conversation and free appetizers. We meet every second Friday of the month at Cleveland Pub, in conjunction with Tween Club! Come join us for one of our favorite nights of the month on Friday February 8th! Mom’s Night Out This month we went to City Grill for Mom’s Night Out! We had a great turnout despite the snow and weather. Join us next month for food and conversation with other women who have loved ones with Down syndrome. DSAW men got together for a Dad’s Night Out at Townie’s Grill in Wausau. We love this time to talk to other dads and grandpas while enjoying food and drinks! Our Parent’s Night Out this month was at Moxie’s in La Crosse! Parents, grandparents, caregivers, and adult siblings had a casual evening of conversation and free appetizers. Our next Parent’s Night Out will be March 9th! This month’s Mom’s Night Out was at Jimmy Seas in Green Bay! We always enjoy this time with fellow moms, aunts, grandmas, and female caregivers. We meet the 4th Sunday of every month. Join us in February at the Cannery Public Market! MADSS also has a Mom’s Night Out on the 5th of every month! This month, moms enjoyed cookies that were decorated at the Holiday Cookie Decorating Party! This month Teen FrienDS Club invited the younger age group to join for a fun event! We went to Sky Zone for Jump with a Buddy event and had so much fun! Teen FrienDS Club is held at the DSAW-Fox Cities Office on the second Friday of each month from 6:30-9:30pm during the months of September-May. The club is for teens with Down syndrome ages 13-19. If your teen is interested in joining, please contact Maria SteenPorte at maria@dsawfoxcities.org. We kicked off the month with the Adult Holiday Party at Mad Apple! Free appetizers were provided as well as drinks and billiard-style games! DSAW-Fox Cities sponsored two amazing opportunities for parents and educators to learn about inclusion. Dr. Christi Kasa, Ph.D. spoke at the two day seminar about two different topics. These topics included “What Every Parent Should Know When Advocating for their Student” and “Creating Successful Inclusion for All”. Hello, my name is Lauren Dewey and I am the new Chapter Relations and Marketing Coordinator at the DSAW State Headquarters! I graduated from the University of Wisconsin-Stevens Point in 2015 with a BA in Communication and shortly after moved to the Milwaukee area. The last two years I was the merchandising assistant of fitness apparel for an e-commerce company. While I enjoyed the merchandising field, I didn’t feel it’s what I was meant to do. That’s what brought me to the nonprofit sector! 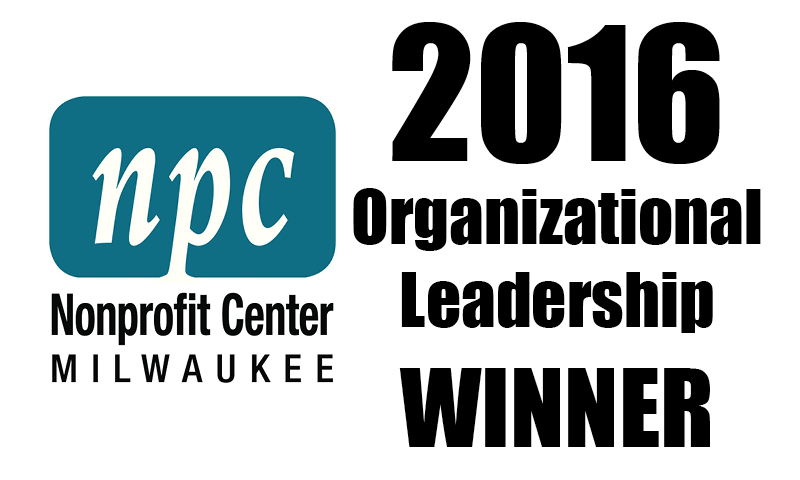 I started the graduate program in Nonprofit Management and Leadership through the Helen Bader Institute at UW-Milwaukee this past fall. I strived to really connect with people, be fulfilled, and have an impact on society. Hence how I ended up at DSAW! In the short amount of time I’ve been here, I’ve had the opportunity to meet so many amazing, driven people all working towards the same goals. It’s truly inspiring and has sparked so much passion in me. When I’m not buried in textbooks, I’m usually enjoying my time with my three dogs Alfie, Bama, and Cannoli, whether it be hiking or snuggling on the couch. Otherwise you can find me at a country music concert or exploring new food spots in Milwaukee with my fiancé, Kurtis. I also currently serve on the board of Friends of MADACC, the nonprofit that serves Milwaukee’s local animal control and adoption facility, MADACC. I’ve continued to pursue my passion of merchandising to raise awareness and funds for our animals by maintaining and growing the inventory of FOM merchandise and apparel. I am so thankful DSAW came into my life. Working with people with Down syndrome and the hard working, dedicated employees and board members has truly brought joy and fulfillment into my life. DSAW’s mission has resonated with me and inspires me every single day. That being said, if you’re interested in joining an existing chapter or creating a new chapter in your community, please reach out to me at lauren@dsaw.org! Family Movie Event We kicked off December with a sensory-friendly, private screening of the newest release of The Grinch! Family! Families got to enjoy the movie with the sound played lower and lights on brighter. We had such a great time at the Southeastern WI Holiday Party this month! Santa and his elf made their way down from the North Pole to visit the kiddos! We enjoyed a variety of games, ornament crafts, cookie decorating, food from Pizzeria Scotty, dancing, and contests! This party attracted almost 350 members of the DSAW family! We just wrapped up a course on relationships for individuals with special needs. They talked about personal boundaries, dating, self-defense, stranger danger, and safety. We will be hosting another session starting on January 12! Learn more here. DSAW and DSAW-Family Services also offered two sessions of a Nutrition and Wellness Class this month. The class met twice a week and participants learned about personal health and well-being, exercise, and healthy cooking. This month at Bootcamp we learned about holidays around the world, how are they celebrated, how they are different, and why each one is unique and special! Cooking with the Kiddos happens every first and third Wednesday at our State office! Don’t worry about dinner plans — we’ll take care of it! Kids 8+ are welcome to join us next month! This month we had breakfast for dinner and made pancakes! Self-Advocate Packer & Holiday Party Self-advocates joined us for a Packer & Holiday Party at the State office on December 16. We had gifts, a bloody mary bar, and lots of cheering! Thank you to the self-advocates who came out to help us celebrate and cheer on the Packers! The second Friday night of the month, DSAW transforms into a hoppin' place for tweens to hang out! This month we did holiday activities, made jingle bell necklaces, and had snacks! Next month's Tween Club will be on Friday, January 11th. Drop your 10+ year old off for a night of games, snacks, activities, and more. Sign up! Each month, DSAW parents, grandparents, and caregivers get together for a night of casual conversation and free appetizers. We meet every second Friday of the month at Cleveland Pub, in conjunction with Tween Club! Come join us for one of our favorite nights of the month on Friday, January 11th! We had our Holiday Party at the wonderful Moose Lodge earlier this month. Guests brought yummy potluck dishes and Santa stopped by! We are very thankful for the generous donations made by Texas Roadhouse and the Rib Mountain Dollar Tree! Also, thank you to the awesome UWSP Speech/Communication students for volunteering their time. We hope you all had as much fun as we did! DSAW women got together for a Mom’s Coffee Date at Vino Latte in Wausau on the second Wednesday of the month. We love this time to talk to other moms and grandmas while enjoying coffee and treats! Our Parent’s Night Out this month was at TimeOut tavern in La Crescent! Parents, grandparents, caregivers, and adult siblings had a casual evening of conversation and free appetizers! Families joined us to watch Smalfoot at the De Pere Cinema on Saturday, December 15! We had a great turnout and enjoyed watching with our DSAW-Green Bay families! We had another busy month in December! We started off the month with a Holiday Cookie Decorating Party. Thank you to the Schuster Family for graciously opening up their home for this celebration of the holiday season! This month, we watched The Nutcracker and the Four Realms at the Marcus Palace Cinema in Sun Prairie! It was a great time for all of the families. Santa and his elves were even there to say hello! Our Teen FrienDS Club is held at the DSAW-Fox Cities Office on the second Friday of each month from 6:30-9:30pm during the months of September-May. The club is for teens with Down syndrome ages 13-19. If your teen is interested in joining, please contact Maria SteenPorte at maria@dsawfoxcities.org. DSAW-Fox Cities teamed up with WisconSibs for a Santa Celebration at the Grand Meridian in Appleton. Families visited with Santa, played holiday games, made gifts, decorated cookies, and enjoyed sweet breakfast treats! Parent’s Night Out In December, we met at the 8th Street Ale Haus in Sheboygan! Parents, caregivers, and adult siblings joined us for an evening of good food and conversation. We discussed 2019 and had a ton of fun. Thanks to everyone who joined us! Children’s Museum Night DSAW families joined us for a field trip to Above & Beyond Children's Museum in Sheboygan! Every second Monday of the month from 5-7pm, the children's museum hosts a Special Needs Night. The museum is closed to the general public, sound is turned off on loud exhibits, there is a craft/activity, and a local vendor offers frozen yogurt. Holiday Party DSAW-Sheboygan families celebrated the holidays together at our Holiday Party! This year’s party took place at the Odyssey Fun Center in Sheboygan Falls. We had pizza, cookie decorating, music and bowling! Santa stopped by to pay us a visit as well! We had a great time at our holiday party this month! We had so many generous contributions this year! Thank you to Westgate Sportsman Club for donating their wonderful space, Scheel’s for donating fishing poles for gifts, and Big Stack Meats supplying smoked pulled pork. Also a huge thanks to Santa and Mrs. Clause as well as MMC Eau Claire Hospital for donating gifts! We could not have done all of this without the planning committee members. The kiddos enjoyed crafts, games, and other holiday activities! On April 6th of 2018, my wife and I received the hardest news that we had ever received as a couple; our unborn child was diagnosed with Down syndrome. We were on vacation with our 2 year old visiting relatives in Texas when we received the call and we were in total disbelief. WOW, what a blow! Hello, my name is Scott Erickson and I have recently joined the DSAW Chippewa Valley Advisory Board. My amazing wife Becky and I are blessed with two beautiful and healthy girls, Korina (2+) and Gwyn (4 mos). We enjoy the simple things in life like being outdoors, visiting with friends and family, and spending time at the cabin. I am a commercial relationship manager (lender) at Security Financial Bank and my wife is a supply technician at Marshfield Clinic/Hospital, both in Eau Claire. Our story is much like what you have experienced personally or know of someone who did: the stages of unanswered questions, the emotional highs and lows, the uncertainty, the self-pity, (regrettably) the regret, and a feeling like you are on an island by yourself…BUT in the end, you experience a happiness that cannot fully be explained! My wife brought the DSAW-Chippewa Valley Walk to my attention shortly after Gwyn was born. I’m not a “lets join a group” kind of person but felt it might be good for me see what it is all about. Simply put, it was fantastic! The raffles, food, entertainment were all good, but the camaraderie and acceptance was over the top. We met new friends, found some old ones, and it really helped me realize that we are not on an island at all! I really want to help pass the DSAW “welcome” along to all that have been given this special blessing. 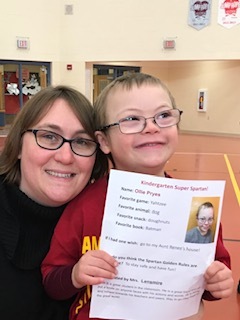 When you make a gift to the Down Syndrome Association of Wisconsin, you help to fund fraternal support and resources for individuals with Down syndrome and their families. In the past two years, DSAW has expanded into new areas of the state, providing support and services for families who previously had none. When Miriam, whose daughter Laurel has Down syndrome, moved to Wausau, she found herself "missing my fraternal support group in Indiana. It wasn't easy to connect with, or even find, other families with a loved one with DS. I knew we needed a network in the central part of the state." Miriam approached DSAW's state office in late 2016 to see how she could get things started in her community. State staff assisted her in planning events like a playgroup and lunch for families, a Mom's Coffee Date, and a World Down Syndrome Day event in 2017. In just a few months, DSAW went from having nothing in Central Wisconsin, to hosting events almost every month. Miriam continued to be instrumental in DSAW's growth: "Hearing families comment on how nice it was to have opportunities for connecting was deeply gratifying. We kept adding monthly events along with regular coffee times and the group continued to spark interest and growth." By mid-2017, "We had families driving an hour for our gatherings. We began offering social interactions in other cities too (Stevens Point, Marshfield, Antigo)." From Miriam's initial spark and help from other local leaders, the DSAW-Central WI chapter was born. In early 2018, planning began for the first DSAW-Central WI Awareness Walk that would allow DSAW to raise even more awareness in Wausau and surrounding communities and to fundraise for future programs and events. People from across Central WI helped to plan the Walk, which took place on September 29, 2018. Everyone's favorite part of the day was the 21 Showcase! Individuals with Down syndrome got to walk the red carpet in front of their friends and family. Miriam recalls that "Hearing a little snippet of what each person (baby to adult) enjoys about their valuable and precious life and then seeing the contagious smiles brought on the tears! With about 400 people in attendance, we celebrated the precious gifts in our lives and appreciated the support we are blessed to have here in Central Wisconsin." Two short years ago, DSAW had nothing available in Central Wisconsin. Now we offer regular events in Wausau, Stevens Point, and Antigo, we hosted our first Awareness Walk in the area, and we're planning some incredible programs for 2019! All it took was one mom to stand up and say that she wanted to connect with other families. If you're unsure what's available in your area, click here to find support near you. If DSAW does not yet provide coverage in your area, contact Rachel to learn more about how to bring events and services to your families! When you support DSAW, you bring our resources and our incredible community to families who need us. You facilitate our expansion into areas of the state where families who have a loved one with Down syndrome have nowhere else to go. Will you think of DSAW in your year-end giving? Raising a child with Down syndrome may present you with new and diverse challenges. Specifically, it might require a huge adjustment for the siblings of your child with Down syndrome. 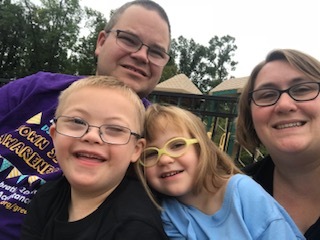 This blog posts gives three pieces of advice for parents regarding their typically-developing children and three pieces of advice for siblings of individuals with Down syndrome. 2) Spend Time With All of Your Children! Since all children are unique and have varying levels of individual needs, it is difficult to balance the time evenly between them. Instead, we recommend you make it a point to spend time with each of your children on a daily basis. Children with Down syndrome may require more attention, but devoting special time to their siblings will help the others feel valued. It is important to pay attention and track the mood changes of your children. A new addition to the family can cause huge influxes in emotion. Acknowledge their feelings and ask how they are personally feeling about this new adjustment. If signs of depression or a heightened level of anxiety emerge, make sure to provide your child with help or resources available as soon as possible. Although sometimes it may be nice to have an extra hand to help you out in caring for your child with Down syndrome, it is recommended you do not push for older siblings to carry too many responsibilities. Giving your child special tasks involving the new sibling, however, may lead to quick acceptance. At first, it might be a huge change to add a new brother or sister to your family. An individual with Down syndrome may require more attention right away and that’s okay. There might be a shift in attention towards the new baby, but that does not mean your parents or anyone else loves you any less. Additionally, your sibling might have a harder time learning how to read or walk, but that does not make them any less. As an older sibling, be patient, because this new sibling will look up to you for all you do. Down syndrome does not define a person. In fact, a sibling with Down syndrome is more alike than different. They have hobbies and interests, just like you! They like to laugh and play. Although they might have Down syndrome, you should know they are capable of so much, and they will exceed expectations in incredible ways. Make sure to cheer them on along the way! Having a sibling with Down syndrome is not a bad thing or something to be embarrassed about—you should know that by gaining a sibling with Down syndrome, you are gaining a friend who will provide unconditional love and happiness. They care so much about you and want to know everything about you—they just want to be your friend! A new sibling in the family can be challenging for any young kid. Hopefully these tips can provide guidelines or at least provoke ideas about how to handle a similar scenario! You've heard about our Parent's First Call program for new and expectant parents, our programs for individuals with Down syndrome who are aging, and our resources for transition-aged individuals learning to advocate for themselves. Did you know that DSAW also has resources for grandparents? Grandparents are important members of the family, and they too seek support when a grandchild is diagnosed with Down syndrome. After learning that their grandson James has Down syndrome, Jim and Robbie became very involved with DSAW. Both Jim and Robbie have volunteered with DSAW for several years. Jim serves on the State Board and acts as the Medical Outreach Committee Chair. They also help at events and lead DSAW's Grandparents Support Group out of our state headquarters. The group "provides opportunities for our grandparents to ask questions, learn from each other, and just have others to talk with and share emotions." The Grandparents Group often hosts guest speakers and self advocates who demonstrate what life might look like for the members' grandchildren. Jim notices that much like the parents, "Many of our new grandparents come in scared, uncertain, and worried about the future, but they are soon able to reverse roles and provide encouragement and support to the next round of new members." Everyone's favorite part of each meeting is the beginning; they start by sharing pictures of their grandchildren. What grandparent doesn't enjoy showing off pictures of their little ones? Our Grandparents Group started with 4-5 members a short time ago, and now it has grown to a membership of 16! Jim and Robbie truly feel that "the DSAW Grandparent Support Group is a valuable resource for all new and prospective grandparents of children with Down syndrome. Grandparents are a vital part of a family's support system, and this group helps to strengthen the bond between generations!" If you're in the Milwaukee area, join us for Grandparents Group on the first Tuesday of the month at 4pm! Our next meeting is February 5 as we will break to celebrate the New Year. If you are in another area of the state and would like to start a Grandparents Group, contact Rachel to learn how easy it is to get one going! When you support DSAW, you are allowing grandparents the opportunity to connect, learn, and find reassurance. You are providing a network for family members who may have difficulty finding one elsewhere. Please consider DSAW in your year-end giving. By donating today, you can give others the community that Jim and Robbie have helped to create at DSAW's Grandparents Group. PS - Will you make a year-end gift to support our vital work? We couldn't do it without you! My name is Marita Stannis and I am the President of the Greater Milwaukee Chapter’s Advisory Board. I have been in this role since the chapter was created in 2013, and prior to that I was the Secretary on the State Board for about 3 years. I am the Environmental, Health and Safety Manager at Caterpillar. I love my job because I work with employees to ensure their safety on the job. My husband Kevin and I have been married for 12 years. He works for a software company and travels internationally quite often. We have 2 children- Madelyn (Maddy) who is almost 10 and Oliver who is 3. I received Maddy’s Down syndrome diagnosis prenatally, and it wasn’t a good experience for us. We were told all the bad things that can come with Down syndrome but none of the good. After she was born we joined DSAW and what a life changer that was! The resources and knowledge that they have has been amazing! I wanted to be involved in helping ensure other families didn’t have the same experience we did, so I joined the Board. I am so blessed to have DSAW in my life. I have made some of my best friends here. Sharing our triumphs with each other and guiding one another through challenges makes our bond so strong! When there’s spare time you will find me in the kitchen cooking! I have loved to cook most of my life and have great mentors, something I am hoping to pass down to my kids! I also enjoy spending time with family and friends and reading. Happy Giving Tuesday! Today is the day we give back to our communities. To show you the impact that your generosity has on families, we'd like to introduce you to Beth and Kevin. "When we received our diagnosis, we were so scared, so worried, and we didn't know where to initially go for answers. Heck, we didn't even know what questions to ask. It didn't help that both the preliminary and confirmed diagnosis of Down syndrome were delivered in an entirely negative way." Because of their experience, Beth and Kevin decided to become Support Parents through our Parent's First Call program and partnership with Parent to Parent of Wisconsin. Knowing what it's like to feel scared and alone, they wanted to be there for families who didn't know where to go. They wanted to provide other parents "that freedom to cry, to laugh, to vent, to be scared, but without any judgement." After a one day training, Beth and Kevin were ready to be matched with parents looking for resources and support. They are thankful they "get to pay it forward" and "feel it is an absolute honor to be able to be Support Parents." The Parent's First Call Support Parent program not only benefits new parents, but it has a huge impact on the Support Parents too. At the training, Beth and Kevin learned that "grief will come in waves, at different points in both our and the child's life. We need to give ourselves permission for these feelings. Going through this training and learning this, it was only then that I was able to finally forgive myself for feeling so angry, so sad.. and to give myself permission when those feelings come up at different points now." After their training, Beth and Kevin were matched with Stacey and Chad. They first "met" over the phone, but when they met for the first time in person at a DSAW Parent's Night Out, Beth and Kevin "really felt like we were seeing people we'd known our entire lives." Beth remembers seeing them come in and running to give Stacey a hug. They became fast friends, and now Beth and Kevin "can't imagine our lives without Chad, Stacey, Timothy and Anthony in it!" They share stories of their experiences and their struggles, and both couples know that they can count on each other for support. When you support DSAW, you are supporting lifelong friendships created through our Parent's First Call program. You are giving scared and uncertain parents the opportunity to connect with people who have walked in their shoes. Today is Giving Tuesday. By donating today, you can give others the gift of comfort and community that Beth, Kevin, Stacey, and Chad found in DSAW. PS - DSAW relies on your generosity to provide support, programs, and services for our friends with Down syndrome and their families! Make a difference today by donating to DSAW. We had a great turnout for our Transition Conference in partnership with the Down Syndrome Clinic at Children’s Hospital, Family Voices of Wisconsin, and the Southeast Regional Center for CYSHCN. We heard sessions about moving from child to adult health care, what comes after high school, and what it’s like to transition to adult life. Thank you to our partners for a great fall conference! On November 8 our Young Leaders Academy students took a trip to MCW to talk to and learn from the medical students. The med students taught us about different kinds of doctors and how to do a medical examination. We got to tell them about what we like and don’t like about going to the doctor’s office, and then we got to practice examining them! Thanks to the MCW Friends of Special Needs for their incredible partnership. We had so much fun and are looking forward to working more with them again in the future! We offer a course on relationships for individuals with special needs. They talk about personal boundaries, dating, self-defense, stranger danger, and safety. There are classes on Monday nights and Saturday mornings, and it runs until December 19! DSAW and DSAW-Family Services also offered two sessions of a Nutrition and Wellness Class this month. The class meets twice a week and learns about personal health and well-being, exercise, and healthy cooking. This month at Bootcamp we focused on creating friendships. We discussed questions like “What are good friendships and why are they important?” and “How are good friendships built?” We really learned a lot! Bootcamp meets on Tuesday nights at 6pm. Join us in December to learn about different holidays around the world. Cooking with the Kiddos happens every first and third Wednesday at our State office! Don’t worry about dinner plans — we’ll take care of it! This month at cooking, we made mini pizzas. At the second session we made gluten free mac n cheese and biscuits! They were delicious! The second Friday night of the month, DSAW transforms into a hoppin' place for tweens to hang out! This month we prepared for Thanksgiving with apple pie, turkey crafts, and games! Next month's Tween Club will be on Friday, December 14. Drop your 10+ year old off for a night of games, snacks, activities, and more. Sign up! Each month, DSAW parents, grandparents, and caregivers get together for a night of casual conversation and free appetizers. We meet every second Friday of the month at Cleveland Pub, in conjunction with Tween Club! Come join us for one of our favorite nights of the month on Friday, December 14! We had a wonderful group of parents join us in Weston on November 3 for a PFC Support Parent Training. These parents came together to learn how to meet the need for peer support! 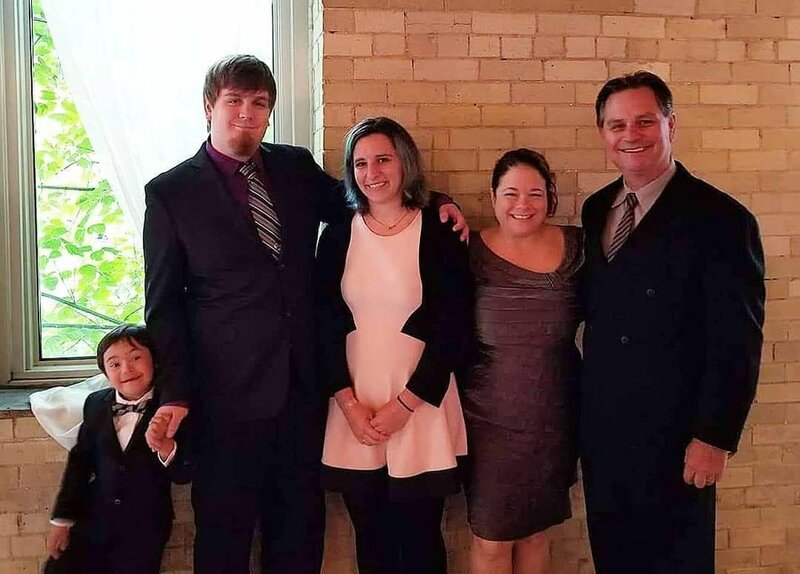 As a part of Wisconsin’s Network of Support Parents, they now can be connected to another parent of a child with Down syndrome looking for support. Thank you to the parents and to Parent to Parent of Wisconsin for making this training happen! We went to Stevens Point this month to visit the Central WI Children’s Museum! We explored the museum together and had lunch! DSAW women got together for a Mom’s Coffee Date at Vino Latte in Wausau on the second Wednesday of the month. We love this time to talk to other moms and grandmas while enjoying coffee and treats! Join us at the Vino Latte in Weston on December 12! At the beginning of the month we went to The Children’s Museum of La Crosse with our friends from the La Crosse Area Autism Foundation. The museum hosted an Inclusion Night for people with disabilities, and we had a great night exploring the museum without the extra stimulation of its busy hours! 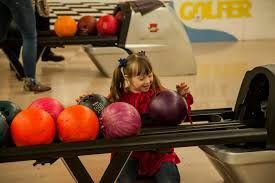 DSAW self advocates went bowling at Pla-Mor Lanes in La Crosse on November 10. Everyone did an awesome job out on the lanes, and we had a great afternoon! Our Parent’s Night Out this month was at Pacifico Mexican Restaurant in Viroqua! Parents, grandparents, caregivers, and adult siblings had a casual evening of conversation and free appetizers! In November, DSAW-GB dads had a night to themselves! We went to Buffalo Wild Wings and shared some free appetizers while watching sports! Families got together at the Howe Resource Center on November 24 for cookie decorating, ornament making, and designing aprons! We loved decorating (and eating!) all of our cookies and getting ready for the holiday season! DSAW moms, grandmas, and female caregivers took a break from the holiday madness to get together for a night out! We went to Caliente in De Pere and had a great evening! Please note that there will be no Mom’s Night Out in December due to the holidays. We had a busy month in November! We started off with a playgroup at Sky Zone. Everyone had so much fun jumping around on the trampolines and launching into the foam pit! We made Fall-themed arts and crafts this month at UW-Madison! Families enjoyed light refreshments and got to express their creativity with painting crafts! At the end of the month, parents, grandparents, caregivers, and adult siblings met up at Bonefish Grill for a casual evening of conversation and free appetizers! MADSS also has a Mom’s Night Out on the 5th of every month! November was no different! We always love getting together with these incredible women. Moms, grandmas, and female caregivers got together at the beginning of November for an evening of respite at Cheddar’s Scratch Kitchen in Appleton! We had a fun night of conversation and good eats!